Under the deal with Federated, a member of the U-Bix Group, DoubleDragon will build Hotel101-Cebu along the Cebu Mactan International Airport Road. MANILA, Philippines — DoubleDragon Properties Corp., through its hotel subsidiary Hotel of Asia Inc., has signed a joint venture agreement with Federated Realty Corp. for the development of a hotel in Cebu which will meet its 5,000 room target by 2020. The 514-room Hotel101-Cebu is touted to be the biggest airport hotel in the Visayas region and will rise on a 5,493 square meter prime commercial lot near the airport, DoubleDragon chairman Edgar “Injap” Sia II said. Hotel101-Cebu will have a convention center and a commercial strip and will bring to six the total number of Hotel101 projects around the country. These are in Fort, Davao, Boracay, Bohol, Palawan and now Cebu. Including Hotel101-Cebu’s P2.33 billion worth of unit inventory, DoubleDragon now has a total of P14.53 billion worth of Hotel101 units in its inventory which the company expects to fully sell out within the next two years. Unlike the typical hotels, Hotel101 units are sold to individual owners but managed by Hotel of Asia under a revenue sharing arrangement. 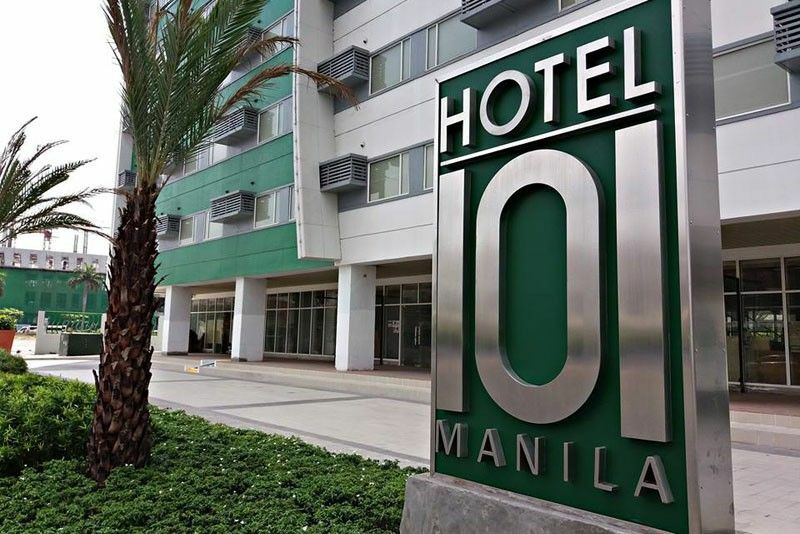 Hotel of Asia wants to position Hotel101 in the country’s top three tourist destinations with prime beachfront locations. These are Boracay, Bohol and Palawan. It also wants to put the hotel on the top three major urban areas in the country. “DoubleDragon strongly believes in the tourism positive prospects of our country. We are confident that the Philippines will surpass 10 million annual tourist arrivals very soon,” Sia said. DoubleDragon chief investment officer Hannah Yulo said unit owners are positioned to continuously gain financial benefit from their real estate investment. DoubleDragon’s hotel operating and pipeline portfolio now stands at 5,082 rooms from Hotel101s, Jinjiang Inns, Skysuites, and Ascott-DD Meridian Park. The company has been increasing its projects that would boost its recurring income. It is on track to meeting its target of having a leasable portfolio of 1.2 million sqm by 2020 comprising of 700,000 sqm from 100 CityMalls, 300,000 sqm from its Metro Manila office projects DD Meridian Park and Jollibee Tower and 100,000 sqm from the planned 5,000 hotel rooms of Hotel101 and Jinjiang Inn Philippines. Another 100,000 sqm of industrial space will come from various CentralHub sites across Luzon, Visayas and Mindanao. DoubleDragon’s four pillars of growth continues to strengthen in provincial retail leasing, office leasing, industrial leasing and hotels which will provide the company with a diversified source of recurring revenues backed by a string of appreciating hard assets.